What Makes Spector CNE Investigator a Must-Have Tool for Any Company of Any Size? Spector CNE Investigator has become the world’s leading investigation tool for businesses because it records everything an employee does on the computer and on the Internet, and because it has been selected by the experts as Best in Class. Spector CNE Investigator records all instant messages, chat conversations, emails sent and received, web sites visited, programs run, network bandwidth, files downloaded, files copied to removable media, and even keystrokes typed. In addition, Spector CNE Investigator takes screen snapshots to create the equivalent of a digital surveillance tape, so you can see the EXACT sequence of everything your employees are doing, step by step. This detailed recorded information is automatically organized for easy analysis and reporting, making investigations thorough, yet fast and simple, providing you with all the evidence you need to prove guilt or innocence. Further, when employees find out you have a sure-fire way of detecting unacceptable activity they will cease to engage in these activities, because there is no better deterrent to bad behavior than the FEAR OF BEING CAUGHT. Spector CNE is the world’s leading computer and Internet monitoring software. Spector CNE is designed to provide businesses with a complete and accurate record of all their employees’ PC and Internet activity. Spector CNE will significantly prevent, reduce or eliminate the problems associated with Internet and PC abuse. When you absolutely need to know exactly what your employees are doing on the Internet, Spector CNE is the tool of choice. • Meet or Exceed Federal, Industry or Agency Compliance Requirements for Keeping Records of Company Communications and Transactions. Spector CNE allows you to install, configure, record and review Internet and PC activity across your network. With Spector CNE you will have a complete record of every Email sent and received, every Chat conversation and Instant Message, every Web Site visited, every Keystroke typed, every Application launched and detailed pictures of PC Activity via periodic screen Snapshots. The core component of Spector CNE is the Recorder. The Recorder will automatically capture and record all PC and Internet activity, including: Emails sent & received; Web Based Email Services such as Hotmail, Yahoo mail, etc…; Web Site Browsing; Chat and Instant Message Conversations; Keystrokes typed; Applications launched and continuous Snapshot Recording of the PC (much like a surveillance video system). The Recorder is remotely installed and managed on client PCs over your Windows network. The Control Center is your one-stop tool for installing, configuring and reviewing the recordings of your networked PCs. You never have to leave your desk to monitor the computer and Internet activity of your employees. The Data Vault is the centralized secure data storage location for archiving all individual PC recordings. The Data Vault collects and organizes the recordings from individual computers to allow for further review by the appropriate personnel. The Viewer provides a streamlined user interface that makes reviewing the Spector CNE recordings a breeze. 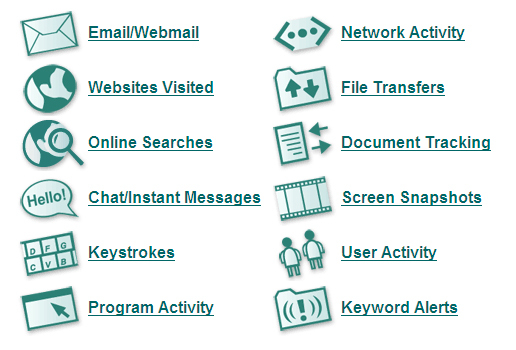 The recordings are organized under tabs labeled by activity: Email, Chat/IM, Keystrokes, Web Surfing, Program Activity and Snapshots. The Viewer also allows you to search for a specific word or phrase within the Spector CNE recorded data. Spector 360 is SpectorSoft’s flagship solution for monitoring your employees company-wide -- whether they are in the office, traveling or working remotely. Spector 360 records your employees’ web sites visited, emails sent and received, chats and instant messages, keystrokes typed, files transferred, documents printed and applications run. In addition, through a first of its kind surveillance-like camera recording tool, Spector 360 shows you in exact visual detail what an employee does every step of the way. Which employees may be leaking company confidential information via removable media like flash drives, CDs and DVDs? With high-level reports and charts that help you quickly identify those employees who are most likely engaging in activities that are harmful to your company, you’ll be able to focus any detailed investigations on those specific individuals, and be assured that Spector 360 will provide you with all the details you need to conduct the most thorough analysis possible. In addition, Spector 360 allows you to proactively control how your employees use the web by integrating Internet Filtering with world-class monitoring. Block access to specific web sites or to categories deemed inappropriate for your workplace. Restrict access by individual, group, department or the entire company. With more than thirty pre-defined web filtering categories, Spector 360 gives you the power to eliminate excessive and explicit Internet surfing while keeping your employees focused and on task. Our customers use SpectorSoft products primarily to uncover Internet abuse, lost productivity, leaking of confidential information and other inappropriate activities by their employees that expose them to financial, legal and other preventable risks. As a simple example, finding just one employee who spends an hour a day surfing non-work-related web sites and reducing that to just a few minutes a day can save a company more than 200 hours a year in lost productivity. Multiply that by 10 employees and you gain back 2000 hours in one year. SpectorSoft Internet monitoring solutions have become so popular with employers that more than 50,000 companies use SpectorSoft solutions to crackdown on Internet abuse within their organization, and SpectorSoft has been selected for four years by Inc. Magazine as one of the Fastest Growing Private Companies in America. With Spector 360, you can quickly observe how one or more employees are using company resources with easy-to-read intuitive charts. Analyze the usage patterns and trends of individuals, groups, departments, divisions, or your entire company. You can customize these charts to suit your specific needs, enabling you to monitor your organization both efficiently and effectively. 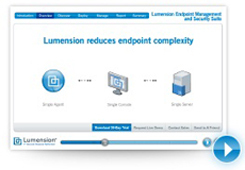 Identify problem areas without having to perform long and tedious manual searches. If anything seems to be amiss from analyzing the “Big Picture View”, you can drill-down to reveal the nitty-gritty details. Several powerful and easy-to-use tools are provided allowing you to sift through your recorded data to locate a specific event or pattern. You can even replay the screen snapshots associated with any event using Spector 360’s Screen Snapshot Viewer and its easy-to-use VCR-like controls. Generate professional, customizable management reports of your findings with just a few clicks of a mouse. Spector 360 empowers you to address your productivity, ethics, security, and compliance concerns head on, by monitoring computer and Internet usage across your entire organization day and night, 365 days a year. 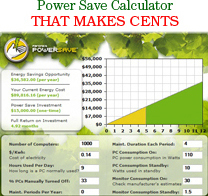 stores, saving Exchange administrators hours of time and recapturing valuable Exchange disk space.